The National Association of Insurance Commissioners approved an updated network adequacy model act at its Fall meeting in November. The model act is a framework that states can adopt to help ensure that consumers have meaningful and timely access to the health services in their benefit package. With more insurance companies offering narrow network plans, these basic standards are an important consumer protection, and GHF encourages state policymakers to consider tailoring and adopting the model act in Georgia. We’ll be announcing our legislative priorities for 2016 soon, and this issue will be on the list! Several health-related study committees met during the summer and fall months, and most of them are wrapping up their work. The Consumer and Provider Protection Act Study Committee held its final open meeting in November with a focus on network adequacy and provider directories. Claire McAndrew from Families USA, a national consumer health advocacy organization, and Georgians for a Healthy Future’s Health Policy Analyst Meredith Gonsahn delivered testimony on the importance of setting network adequacy standards and ensuring provider directory accuracy and usability. Look out for a final report from the committee later in December! This workbook is a take-home, interactive resource for the newly enrolled. It covers topics that enrollment assisters may not have time to cover during the enrollment appointment, such as how to find a primary care provider, how to make your first appointment, and even how to make a budget. People can fill in the workbook with their own information so they have all of their important health coverage information in one place. Download the workbook here. 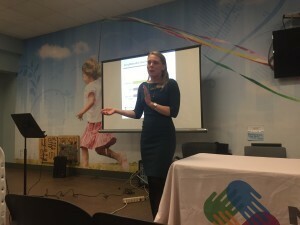 North Fulton Community Charities, a non-profit human service agency that assists families in need in North Fulton County, invited Georgians for a Healthy Future to present our Medicaid chart book to its community leaders. Board members, city and county council people, and state legislators were in attendance, along with interested community members. We had a constructive conversation with participants about how Georgia can close the coverage gap. If your organization, church, or community group would like us to present at your next meeting (either about closing the coverage gap or about helping people enroll in health insurance), contact Laura at lcolbert@healthyfuturega.org. Earlier this year, two separate proposed health insurance mergers were announced. A November New York Times article laid out some of the concerns that consumer advocates have about the proposed mergers and featured comments from Cindy Zeldin, Georgians for a Healthy Future’s Executive Director. Our Health Policy Analyst Meredith Gonsahn is monitoring this important issue – be on the lookout for a policy brief in the new year that provides more detailed insights about the potential effects of these mergers. You can also learn more by visiting the Coalition to Protect Patient Choice. Georgians for a Healthy Future hit the road again recently, this time to Savannah! 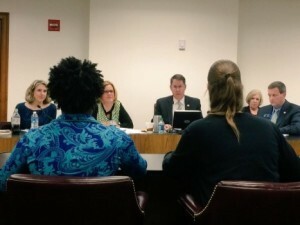 Along with the Georgia Budget & Policy Institute and the Chatham County Safety Net Planning Council, we hosted Coverage and Access to Care: A Local Focus on Savannah. The event provided the opportunity to have a roundtable discussion about the health and health care needs of people in Georgia’s coastal region. We were joined by representatives from local hospitals, insurers, non-profit organizations, enrollment assisters, and interested Savannah residents for the gathering. Guided by the chart book, the group had a dynamic discussion about how we could make Georgia’s Medicaid program work better for those who are already enrolled, as well as the benefits of expanding it to cover Georgians in the coverage gap. It was clear the attendees were eager to talk about improving coverage and access to care by closing Georgia’s coverage gap. Our conversation also touched on the open enrollment period and the needs of consumers enrolling through the health insurance Marketplace (aka healthcare.gov). 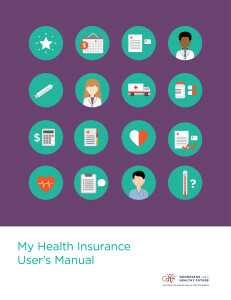 GHF highlighted our new toolkit and Health Insurance User’s Manual as tools to help Savannah-area consumers get enrolled, stay enrolled, and effectively use their coverage. This roundtable event gave us the opportunity to learn from the Savannah stakeholders, meet new partners, and identify areas where we can work together to improve Georgia’s health care system. We look forward to returning to Savannah soon to build on this visit. It’s an exciting time in health advocacy. The nation’s uninsured rate has plummeted over the past two years as Americans who were left out of our health system for too long have finally been invited in. Here in Georgia, half a million people gained coverage through the health insurance marketplace last year and we are working hard to raise awareness during this current open enrollment period. But the pathway to coverage remains blocked for our lowest-income citizens here in Georgia because our state policymakers have not yet taken action to expand Medicaid. Approximately 300,000 Georgians are stuck in a coverage gap: they don’t qualify for Medicaid today and can’t access tax credits to buy private health insurance because their income is too low. Many of these Georgians are working in jobs that don’t come with health insurance. They are restaurant workers, child care workers, and even some veterans. They are our friends and neighbors, and we all suffer when they are left out. Georgians for a Healthy Future is committed to making sure the voices of these Georgians are heard as public policy decisions are made that impact their lives. In the coming year, we plan to redouble our efforts to close the coverage gap in Georgia. This means we’ll be criss-crossing the state to talk to people who fall into the gap and to connect with community leaders, launching a digital advocacy campaign to mobilize the voices in support of closing this gap, and continuing to make the case directly to policymakers. We need your help to do this. We need your partnership, your stories, and your voice. And on November 12th, Georgia Gives Day, we hope you will help support our campaign to close the coverage gap by choosing to give to Georgians for a Healthy Future. Yesterday’s policy forum featured a panel of experts who shared their academic, research, and personal experiences, demonstrating not only the need for, but the effectiveness of SBIRT. Check out the videos below to hear what some of them had to say. Dr. Paul Seale of Navicent Health and Mercer University School of Medicine on Georgia’s potential to lead of substance use prevention. 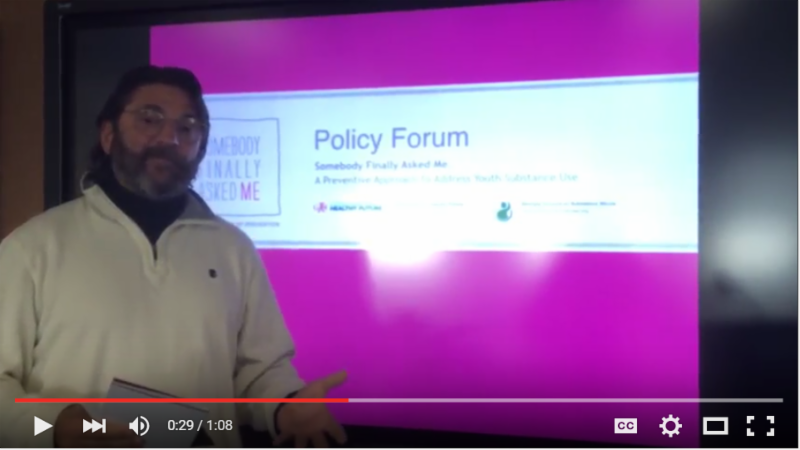 Georgia Overdose Prevention Project’s David Laws is a parent who is passionate about the impact SBIRT can have on Georgia’s youth. 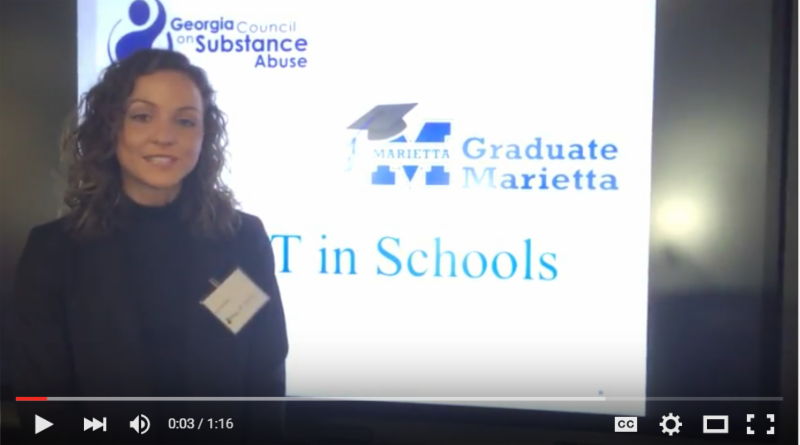 GCSA’s Sissy Weldon on how SBIRT is being implemented at Marietta High School. 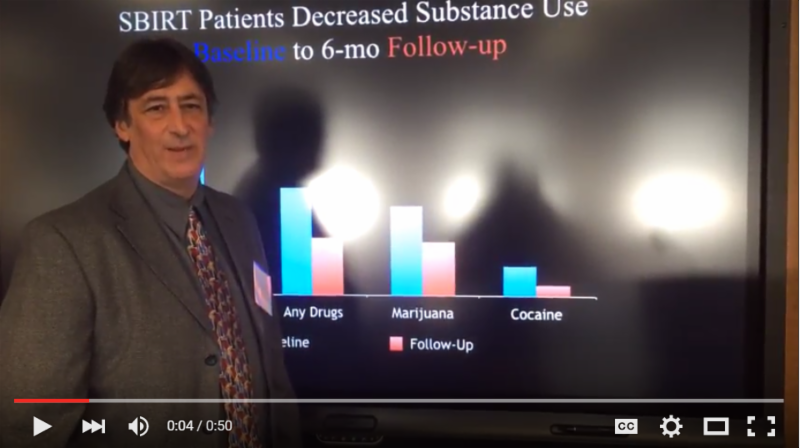 Dr. Kuperminc of Georgia State University on the research that has been done on SBIRT’s effectiveness. Can your organization join the effort? 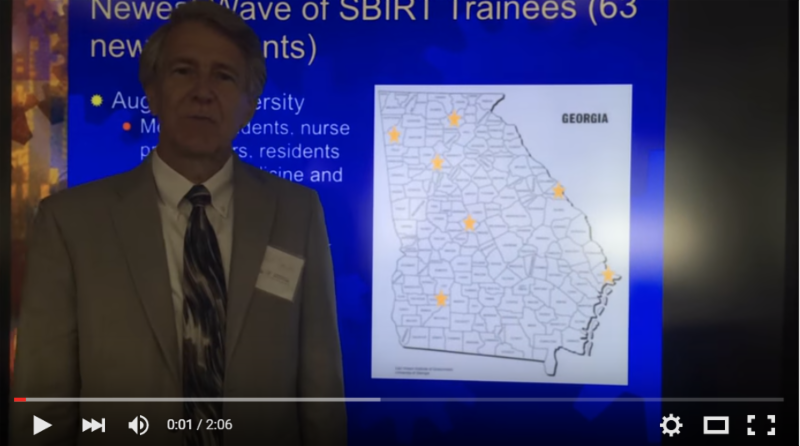 Please help us make the case to the committee that SBIRT is a cost-effective, evidence-based approach that could be more widely adopted in Georgia by implementing these policy recommendations by signing onto our letter to the study committee. Please contact Laura Colbert if you would like to sign your organization on. Georgians for a Healthy Future is excited to release our new enrollment toolkit! The toolkit is a comprehensive compilation of fact sheets, neatly organized, that are designed to walk consumers through each step of the enrollment process – from how to get health insurance (enrollment) to how to use health insurance once they have it (post enrollment). Need more information like this? You’re in luck! GHF has created the GEAR Network for people just like you. GEAR is the new central hub of resources for Georgia’s enrollment assisters and community partners that are working with people to educate them on their health and health coverage options. We’ll send out weekly emails full of local resources and the information you need to know through OE3 and beyond. For more information on GEAR, check out this presentation. Pranay is GHF’s Consumer Education and Enrollment Specialist. A certified application counselor, he assists consumers with enrollment into health insurance through the Marketplace. Pranay can also help you once you have enrolled with questions about how your coverage works. To set up a meeting with Pranay you can email him or give him a call at 404-567-5016 x4. Open Enrollment 2016 (OE3) is less than 10 days away! Open enrollment is an annual period when individuals and families can choose from a variety of coverage options in the marketplace, apply for tax credits, and purchase a health plan that best meets their needs. Consumers can get 24/7 over-the-phone enrollment assistance via the Health Insurance Marketplace at 1-800-318-2596 or can find local in-person assistance at localhelp.healthcare.gov. Individuals and families with incomes between 100% and 400% of the 2015 federal poverty level (FPL) may be eligible to receive financial assistance to help pay for their monthly premiums (see the chart below for what FPL means in real dollars). Consumers with lower incomes (between 100% and 250% of the FPL) may be eligible for additional help with out-of-pocket costs if they choose a “silver” plan. In 2015, 9 out of 10 Georgians who enrolled into marketplace plans were able to access tax credits. Consumers who do not qualify for subsidies may still be able to purchase plans through the marketplace at a full price. So, when does my coverage start? The marketplace will discontinue subsidies for those consumers who did not fulfill their tax filing requirements for 2014 in order to reconcile their income and subsidies at the end of the year. Consumers are advised to fulfill their tax filing requirements every year and call the marketplace or local assisters for help if subsidies are being dropped without any legitimate reasons. Consumers who do not qualify for subsidies because their income is too low are also advised to obtain an Exemption Certificate Number (ECN) to avoid tax penalties. What do I need to do to renew my existing plan? You may simply call the marketplace for 2016 application renewal if you need to change plans for 2016 or update your information. If you are happy with your existing plan and have no updates to make then you do not need to do anything. The marketplace will simply auto-renew your application for 2016. You can also find local help at healthcare.gov.